Barton Solvents, Inc. has been engaged in our local communities through close relationship with the Fire Departments, Local Emergency Planning Committees, and HazMat Teams. We have provided equipment, personnel, and funds to assist in training and equipping these fine organizations. During annual tours of our facilities we offer information on the products we handle and the hazards involved in dealing with these products. Our Council Bluffs, IA facility donated tank trucks to be used in hazardous material training exercises. One such exercise was in conjunction with Omaha Fire Department to simulate an over turned truck on the Interstate system. In Des Moines, IA we loaned tank trucks to the Des Moines HazMat team so they could practice confined space extraction from the cargo compartments. We have also been very active in loaning equipment to the state for training in many smaller communities. 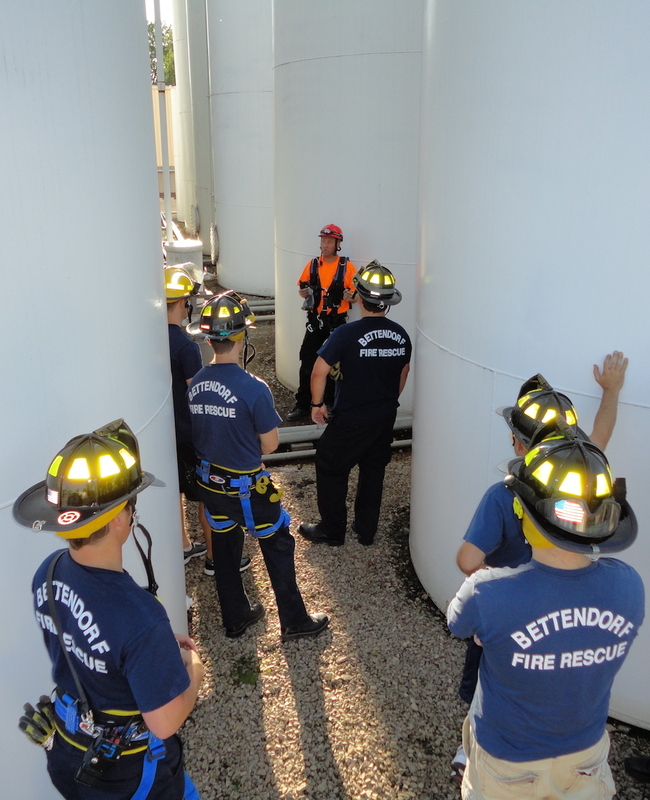 West Bend, WI Fire Department set up a live training exercise at our facility where they simulated a large hazmat release from a portable storage tank. This exercise involved several different agencies from around the community. Barton Solvents provided equipment as a part of a TransCaer tour through Iowa. Fire Departments and Hazmat teams from all over Iowa were able to see up close what type of equipment is used in hazmat transportation and some of the safety features of each piece of equipment. Another method of community outreach is through the Chemical Education Foundation (CEF). CEF provides several bulletins for business and personal use on handling chemicals safely. They also have created a chemistry kit for students and teachers called “You Be the Chemist”. You can see and learn more about CEF at www.chemed.org. Barton Solvents provided “You Be the Chemist” kits as gifts to recent college graduates going into elementary education to help expand their resources in educating science students. Employees of Barton Solvents are actively involved in various civic and professional organizations providing support to these organizations in various fashions. Included in these organizations are Better Business Bureau, Air and Waste Management Association, Association Certified Hazardous Materials Managers, United Way, and National Association of Chemical Distributors. These are but a few of the examples of Barton Solvents, Inc.’s involvement in the local community.